Scrolling down Céline’s feed, you can tell she has an eye for aesthetics. It is also obvious that she is a photographer and is selective with the pictures she chooses to upload. Céline, like many other Instagram users, uses Instagram as a mini-portfolio. She only posts once a week, or once every few weeks, and she would never clog up anyone’s news-feed. The pictures are of great quality and also offer a glimpse into her life. These pictures allow her to stay true to her brand while still giving her followers what they want to see. Her captions are concise and polished, just like the pictures she selects to upload. She has the Instagram most people can only dream of. The lucky pictures that make it past her judgment call tell a story and curate how others see her life. Céline’s Instagram evokes an air of sophistication and fluidity. You know what to expect when you see her Instagram handle on your news-feed, and she never disappoints. I do not use Instagram the same way Céline does. I use Instagram as a scrapbook, and prefer to think of it as my own personal museum. I sometimes don’t care about the quality of the picture. If I had a great night, I will choose the best picture to represent it. Who cares if it’s blurry? Some days I might post 2 pictures and then sometimes I might wait a week. I don’t have the patience to think of clever captions and if I do have one it was my friend who came up with it for me. In a previous post, I wrote about the “social media game” and how I curate my social media accounts to make my life seem more exciting than my reality. But the reality is that life is exciting. There is so much to do, so many incredible people to meet, and just as many new locations to explore. I don’t want to just survive, I want to live and I want my Instagram to reflect my excitement. Although I have admitted to lying in my posts about how my night went, my main goal is to create a sense enthusiasm. It’s a means to an end. It’s interesting to think about the different worlds on Instagram. It began as a simple photo-app, but now Instagram is a prospering digital community with over 400 million users. Just like other large communities, sub-groups have emerged and have risen to prominence. 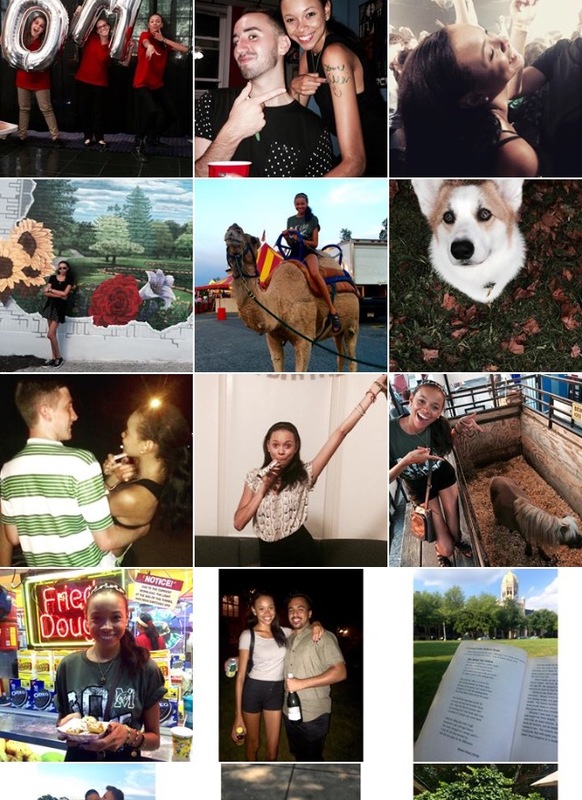 Céline and I are part of two distinct sub-groups on Instagram. While she uses Instagram as an outlet to showcase her work and photography, I use Instagram as an outlet to showcase my life. 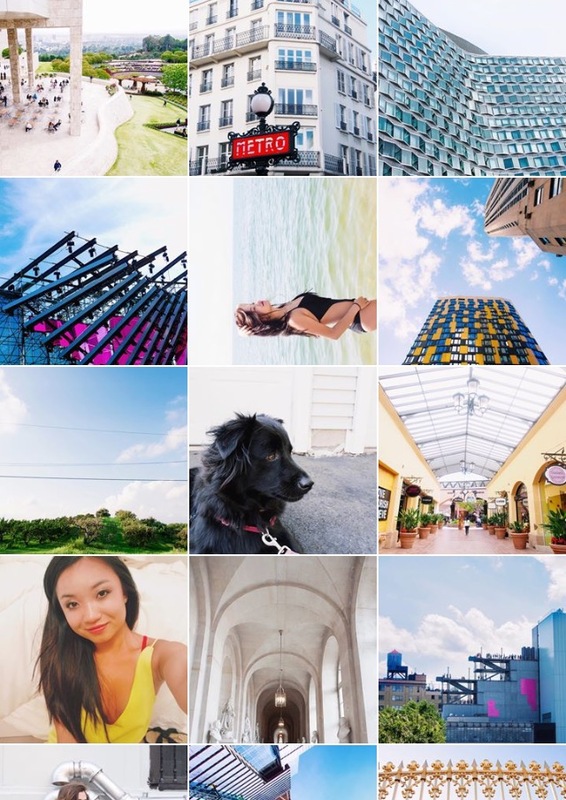 Individuals also use Instagram as a travel diary and businesses even use it to connect with younger generations. There is no right or wrong way to use the app, which helps make it so welcoming and popular. Instagram becomes what you make it. By downloading the app, you get sneak peeks into the lives of millions of other people. You have the power to choose who and what shows up on your news-feed by deciding what users to follow. Uploading pictures grants others access into your life, and those pictures influence how your story gets portrayed and how others view you. How do you use Instagram? And how do you think it reflects the way others see you? Posted in instagram, millennials and tagged instagram, millennial, mini-portfolio, online scrapbook. Bookmark the permalink.